Holds objects 1" to 2.25" (25 to 57mm) in diameter. 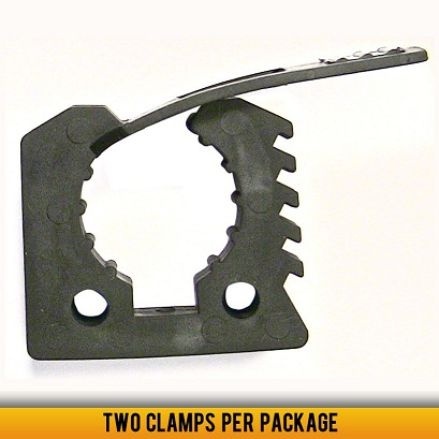 2 clamps support 50lbs (23 kilos). Mounts easily with one #10 bolt or screw. Mounting area: 2 1/2" x 3/4" (64x19mm).